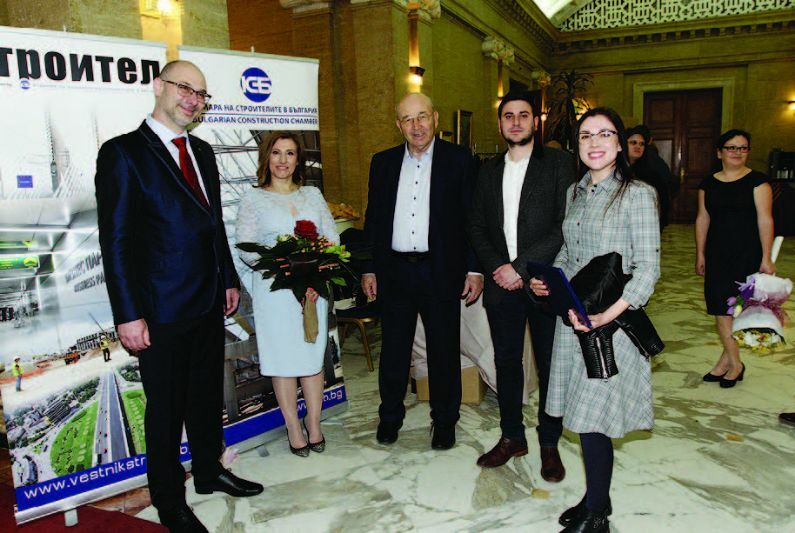 For the fifth consecutive year the Bulgarian Construction Chamber (BCC) and the Chair of the Committee on Regional Development (CRD) of the European Parliament (EP) Iskra Mihaylova, in partnership with „Stroitel“ Newspaper had organised an International conference. 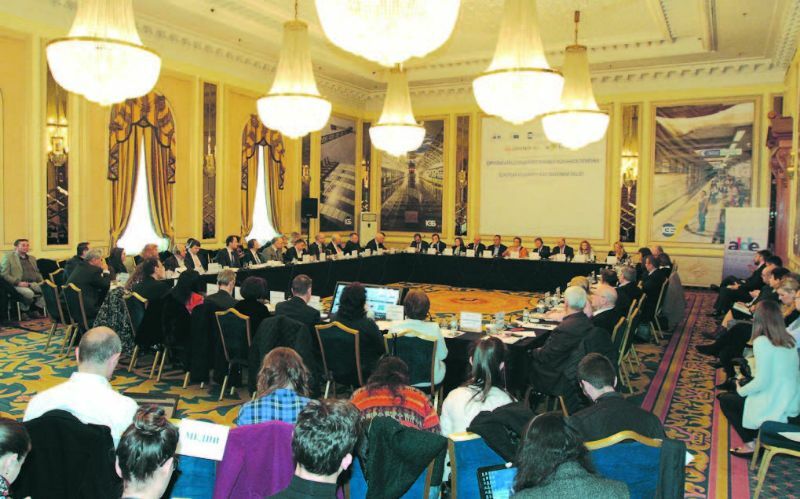 The topic of this year’s forum was „European solidarity in the investment policy“. The discussion took place in the „Sofia Hotel Balkan“. In the event part took Tomislav Donchev, Deputy Prime Minister of the Republic of Bulgaria, Rosen Zhelyazkov, Minister of Transport, Information Technology and Communications, Denitsa Nikolova, Deputy Minister of Regional Development and Public Works, Vazil Hudak, Vice-President of the European Investment Bank, representatives of the European Commission and of the European Bank for Reconstruction and Development (EBRD). The BCC was represented by Eng. Iliyan Terziev, Chairman of the Management Board (MB) of BCC, Eng. Nikolay Nikolov, deputy chairman of the MB, the Honorary Chairman Eng. Simeon Peshov, the MB members Eng. Lyubomir Kachamakov, Eng. Blagoy Kozarev, Lyubomir Peinovski, the Executive Director Eng. Miroslav Maznev, chairpersons of the Regional offices, of organisation sections, etc. The purpose of this conference was to present the results of the EU investment policy implemented in Bulgaria through the construction industry and to enable the business to get acquainted with the vision for the development of the European Union’s Cohesion Policy in the 2021-2027 period, as well as with the new funding opportunities. Specially for this forum Corina Cretu, an European Commissioner for Regional Policy, had sent a greeting (video message), that was included in the event’s program. „During five years we have been discussing together with you the investment policy of the European Union and the support, that Bulgaria is getting. We are trying to become acquainted with the trends and to find our way in the future, to ensure that construction companies in our country are well prepared and well informed, that they are involved in decision making process and that they are partnering both with the state authorities and the European Institutions”. This was said by Iskra Mihaylova, Chair of the Committee on Regional Development in the European Parliament, at the opening of the international conference „European solidarity in the investment policy“. „We have to invest in the solidarity, and in the regions. My motto remains unchanged – without lagging regions, without lagging people. We have supported 9 thousand enterprises, 10 thousand children, the improvement of water supply of 200 thousand Bulgarians, the Sofia Metro development“, that was said in the video address by Corina Cretu, the European Commissioner for Regional Policy. „There are three priorities – to support the competitiveness, the infrastructure investments and the urban development. What is suggested for the post 2020 years is to empower the cities to go even further. I am convinced that you will make use of this opportunity“, added the Euro-commissioner Cretu. „Thank you for the invitation, that is a traditional one. Entering the hall, I can realise that during the recent years we had met at least 4-5 times on that same occasion. It would be good to analyse what has been said and what has been discussed, and I believe that it will prove that everything I had said, had happened afterwards“, said the Deputy Prime Minister of the Republic of Bulgaria Tomislav Donchev during the event. He stated as well, that hardly someone else could explain better than Ms. Mihaylova, the running at the European level processes and the trends, and what is to be expected in relation to the multiannual financial framework and the cohesion policy. – relatively early, it is provoked by our ambition not just trying to repeat everything we have done up to now, but also to extrapolate it for the next programming period, even it is not because of the ambition to perform a little better than until now. My opinion is that we should try to perform much better, whatever the cost would be for us“, said also Donchev. „It is important to support the construction industry as well, because you are who hold your hand on the pulse of the economy. I have been a member of the Slovakian government and I know about the processes running on at the sites. It is necessary that these discussions are held, because we are in a dual situation – we have the opportunity to develop the traditional infrastructure, the roads, the railway, etc., by providing contribution to the less developed in this respect countries, but we should, at same time, to enlarge the broadband communications, the other modern technologies, that support the connectivity and that promote the better economic growth“, said Vazil Hudak, Deputy Chair of the European Investment Bank. „We are reasoning in our bank about these development lines and about the way to support the respective countries, including Bulgaria“, added Hudak. This was said by Larisa Manastirli, Director for Bulgaria of EBRD. She explained that such as kind of structure has been established in the country, that to mobilise resources from the commercial banks and thus to support the investments In the water sector and public utilities. „We are working with 16 water operators, which could apply for support. The amount is over EURO 1 billion, where the activities should be completed before 2023. If there are no contractors to undertake the construction works, the situation will greatly complicate. We support up to 15% of the total funding, by closely working with the water sector entities“, added Manastirli. „The future European operational programme for regional and urban development within the post 2020 programming period envisages focusing on two axes – support for investments at reginal level and investments in urban development, where our main goal is to pursue for decreasing the regional differences and misbalances”, said during the event Denitsa Nikolova, Deputy Minister of Regional Development and Public Works. According to her words, the goal during new programming period is going to be development of each region’s potential, in order to reach economic growth, by combining EU funding with budget funds, financial instruments and support by international financial institutions. „It is envisaged during the new programming period to introduce a simplification mechanism for project implementation. Within the Ministry of Regional Development and public works we will create prerequisites for development and approval of a national average unit costs methodology for construction activities. The new regulations make it possible through historical and statistic data and through market assessment to define average prices, and based on them to determine the eligible under the programme costs“, said also the Deputy Minister Nikolova. is what Aurelio Cecilio, the Head of the responsible for Bulgaria Unit within the EC’s GD „Regional policy and urban planning“, said. „After the accession of Bulgaria, even with slow pace, your country is converging. The regional and social differences are quite significant – 5 to 6 planning regions are among the poorest in the EU. In Sofia region is generated 50% of the GDP, and the salary is 8 times higher than in the rest of the country“, added Cecilio. Merete Clausen, Head of the EC GD „Economic and financial affairs“ Unit stated that Bulgaria needs more public investments, because the country relies mainly on European funding. „2/3 of the investments come from EU funds. You need workforce inputs, better connectivity, transport infrastructure, energy. EU together with the EBRD proposed the Juncker plan, by providing a huge guarantee to the bank, so that it invests in risky projects and regions“, she also said. In her concluding speech, Iskra Mihaylova, Chair of the CRD in the EP, thanked CCB for the partnership over the years. „We continue working together with steadiness and I see how we build and expand the circle of information we provide. I am convinced that it will be of benefit to the companies – members of the Chamber“, Mihaylova said. ЕU succeeds to maintain the cohesion policy. „In the May 2018 proposal, this policy appears to be one of the main ones. There is development in respect to financial instruments, there is a response to the challenges faced by the EU, there are funding and programs for investments in defense, a higher guarantee for the future InvestEU fund. But the cohesion policy retains its position“, pointed out Mihaylova. She said that the real negotiations on future European programs will be launched in the early autumn of 2019 and will be probably finalised in 2020. „I believe that all of us could say, that the EU solidarity resulted in realization of hundreds of projects. We have changed settlements – renewed schools, kindergartens, streets, water supply facilities, theaters. Motorways are built, as well as hundreds of other projects. This is the meaning of the European solidarity“, underlined Mihaylova. The Chairman of the MB of BCC Eng. Iliyan Terziev, on his part, thanked Ms. Mihaylova for the long-years partnership in organizing the already traditional annual joint forums. 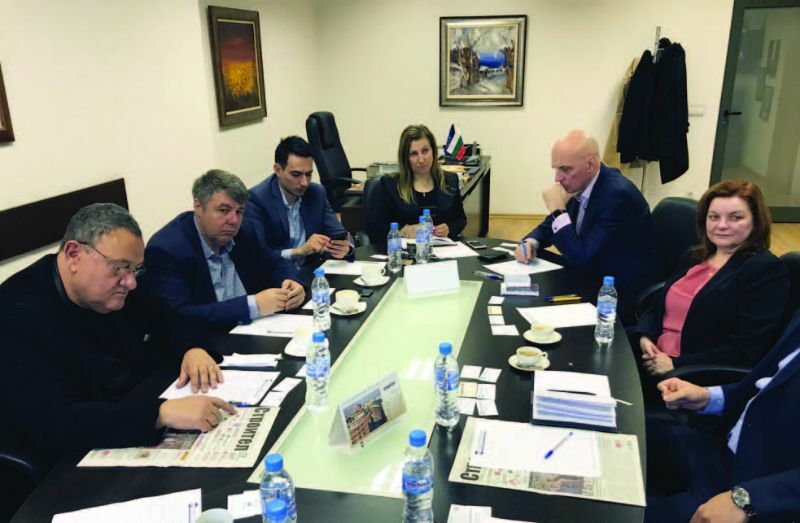 „the European Union’s Investment policy is of essential importance for the construction sector in Bulgaria and is among the priorities for BCC. 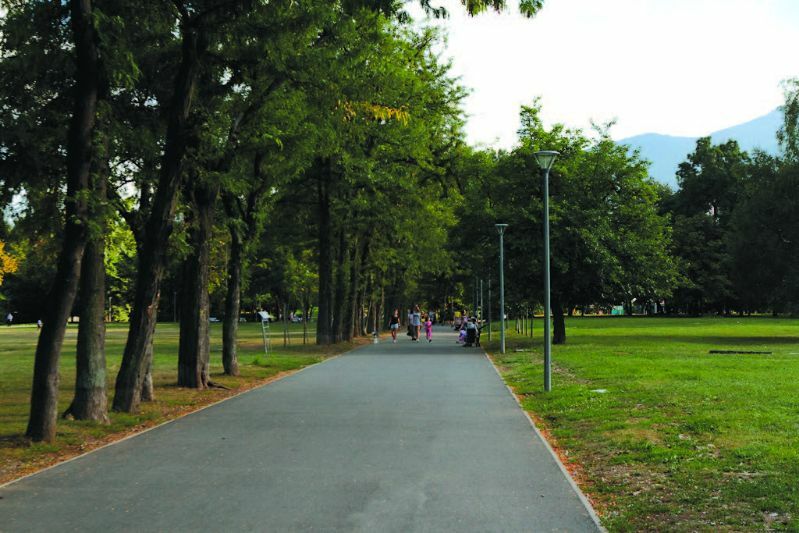 A considerable percentage of public works contracts in Bulgaria continue to be bound with the European funds. However, as an organisation with a view to the future, the Chamber keeps up with the changes and the new funding and co-funding opportunities, it is interested in financial instruments, best practices and makes efforts to provide its members with advance information about the sector’s development trends and the global policies related to it“, he added. Eng. Terziev thanked the guests of the conference, coming from Bulgarian institutions, EC, EIB and EBRD, and pointed out that the Chamber highly appreciates their presence at the 5th conference, as well as that the information they presented was important and useful for the Branch. In conclusion Eng. Terziev underlined, that the sound interest shown about the forum is an indicator that the discussed themes are both topic and timely for the construction industry, for institutions and operational programmes, and that they are important for the successful implementation of the European investment policy.